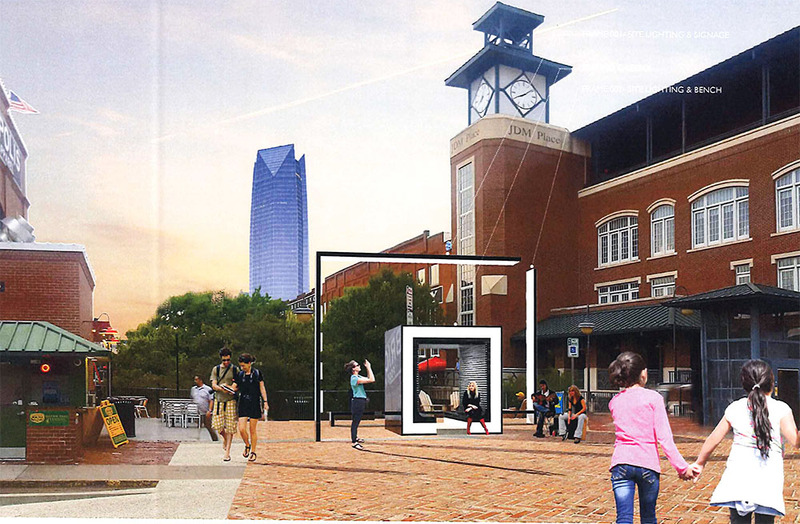 New gateway art piece proposed for the plaza in Bricktown on the west side of Mickey Mantle. 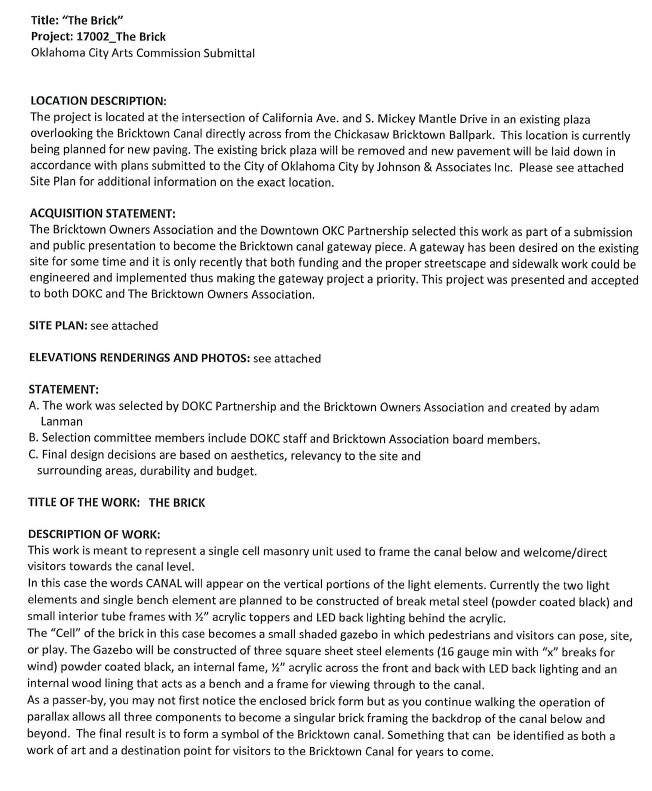 and directly across from the ballpark. 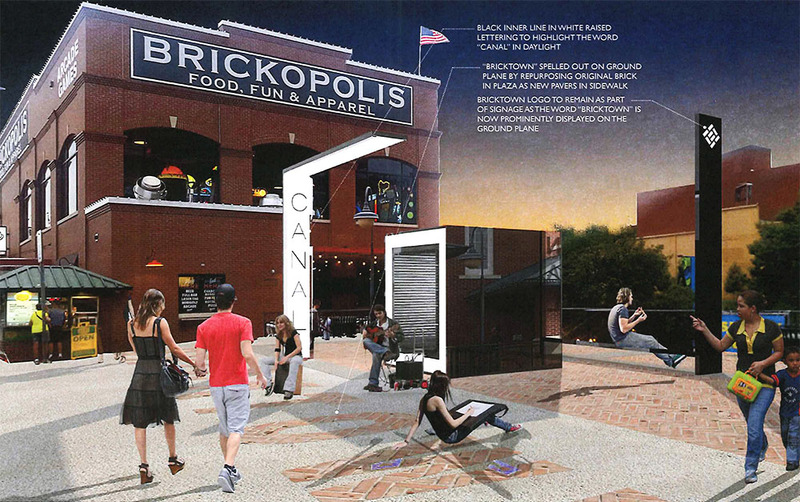 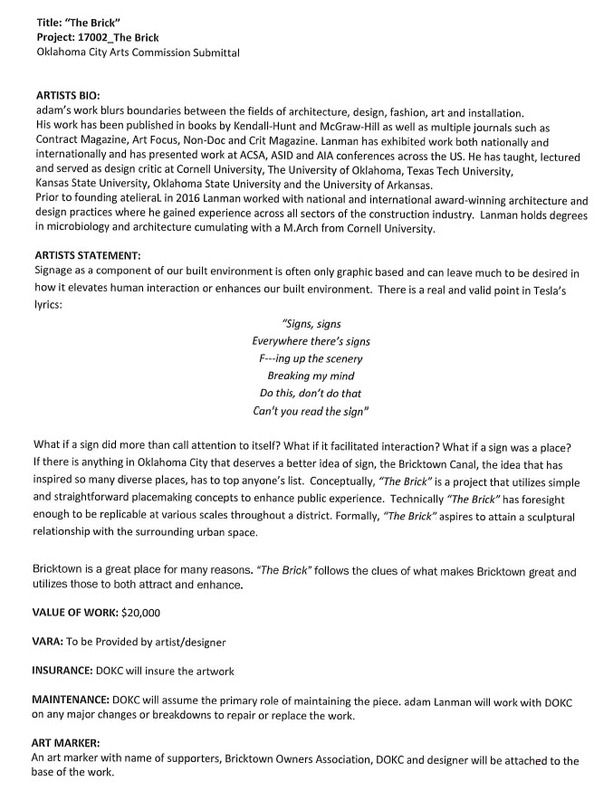 Designs have been submitted to the Bricktown design review committee and show a "traffic table" on Mickey Mantle, something that has been much discussed to slow down traffic on that street. 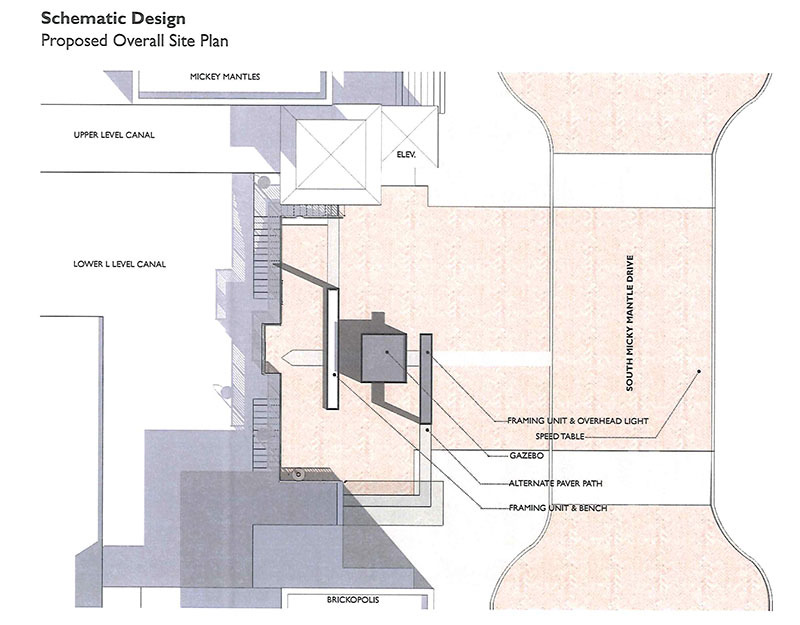 Although the table is not part of this project, it seems to be in the works.